Then, on Sunday April 7 at 7:30 PM also at Southern Rep the troupe will stage their gospel concert for the Earth. 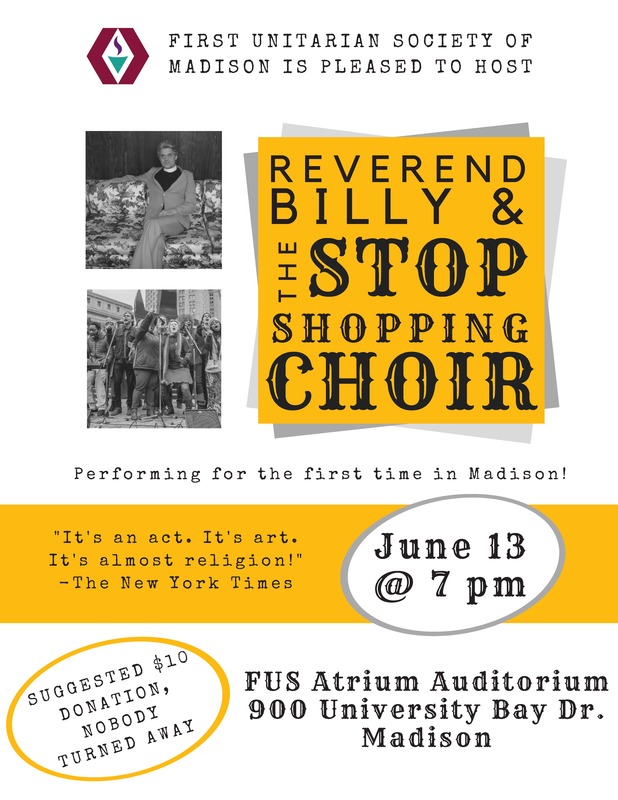 Part political rally, part comedy show about an Elvis-impersonator televangelist and his choir, part church service of the Earth faith: whatever the Church of Stop Shopping is – it's a movement to rise to the occasion of the Earth’s crisis. As activists, they have faced down Monsanto and Bayer, climate-change financiers like Chase Bank and UBS, and mountaintop removal coal-mining and pipe-lines. Athens & Epidaurus Festival, Greece.